The $12 mil. 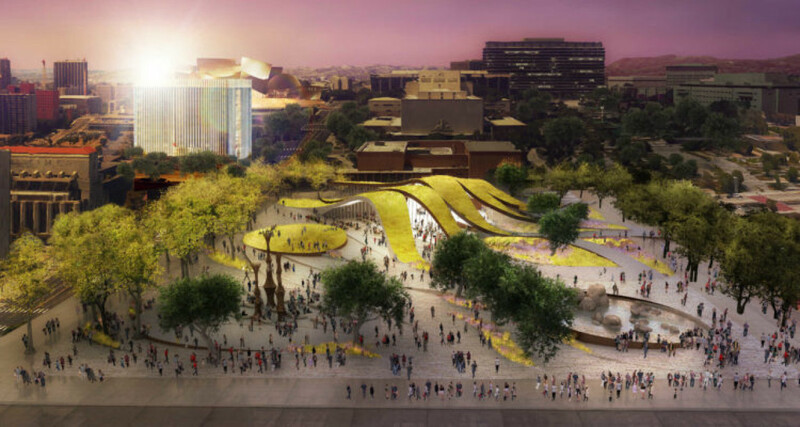 First and Broadway (FAB) Civic Center Park introduces a new type of park space, a respite for downtown LA that celebrates the city’s diversity as its greatest asset and promotes civic engagement through highly versatile spaces to experience art, enjoy food and revel in the unique urban setting. 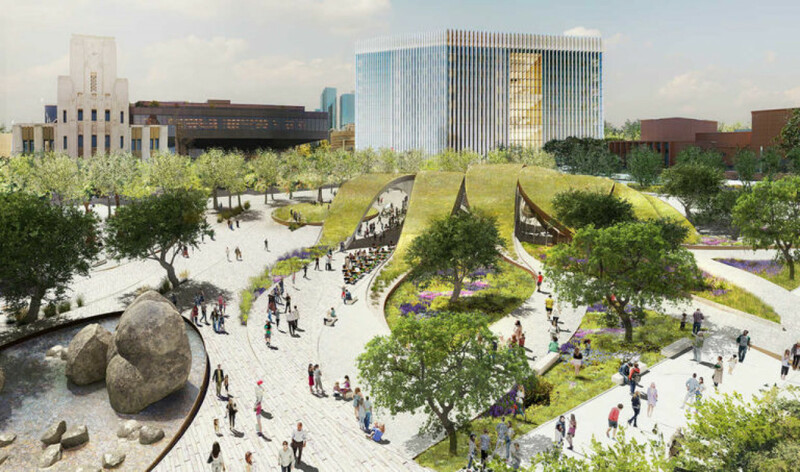 The 1.96-acre site, located at 217 W. 1st Street in Downtown Los Angeles, was purchased by the City’s Department of Recreation and Parks from the State in 2013, and was made a dedicated park land for the development of a new park, under the City’s “50 Parks Initiative”. Extensive site demolition to remove remnants of a former 1931 13-story State office building and a 2-level underground parking structure was completed in late 2014. 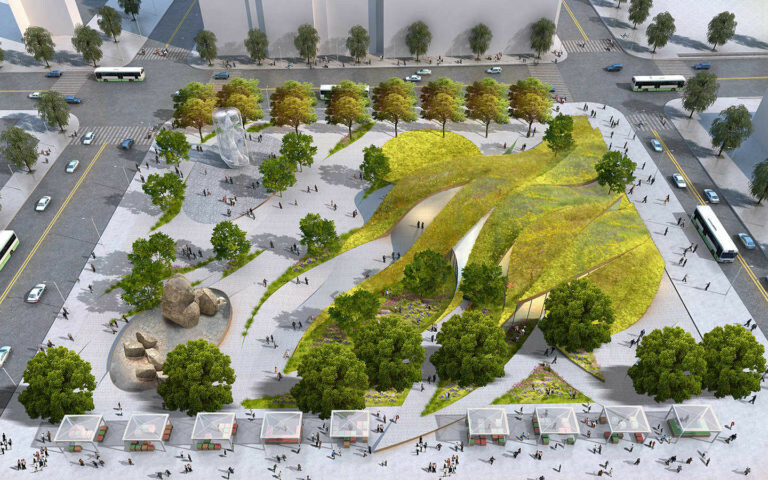 Given the prominence of the site, and the City’s interest in embracing innovative design thinking, the City has a unique opportunity to design and construct an iconic park project in the Los Angeles Civic Center, that will augment the adjacent Grand Park, incorporate uses that bring life to the area (such as restaurant and public art installation). The opportunities also exist to initiate a public design dialogue about the most compelling uses, the most creative design approach, and themes for the development of the open space, that will make this a unique Los Angeles civic open space.